Offpro provide serviced business offices within the Midlands locations of Coventry and Leamington Spa. 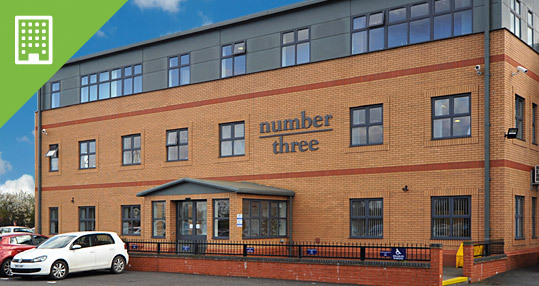 ‘number three’ is a recently developed, high specification serviced office complex in the West Midlands beside Coventry Airport and only 14 miles from Birmingham airport. It is very easily accessible from the A45 A46 M45 M1 M6 and M69 and all other major roads in the region . The modern building has been purpose designed so that individual serviced office suits can be tailored to meet your requirements, ranging from 1 to 200 desks with the ability to easily expand. It is fully furnished, with catering and internet as standard. 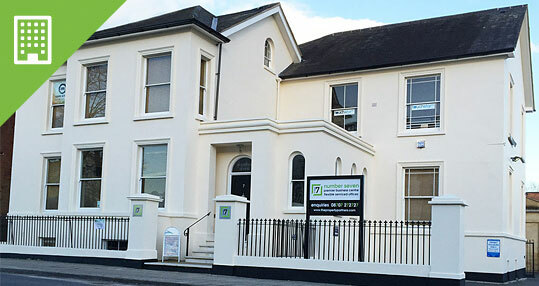 ‘number seven’ is a uniquely traditional styled serviced office based in Royal Leamington Spa, Warwickshire. It is situated in the heart of Leamington Spa’s town centre. This serviced office is only 17 miles from Birmingham International Airport and conveniently situated with easy access to M40, M42 A46 and all other major roads in the region. Train stations, bus routes and hotels are also within easy reach for you & your visitors. Onsite receptionist and telephone answering service available. Inbound and outbound mail service included. OffPro currently have four offices for rent within Warwickshire. OffPro’s serviced offices are maintained to provide companies with the best possible furnished facilities and levels of service at all times. Our premier serviced offices are in Coventry and Leamington Spa, close to all major transport links in the area. Our serviced offices will exceed your level of expectation with the facilities provided. All of our offices have been designed by business professionals with the needs of business professionals in mind. Whether you are a sole trader or a business up to 200 employees, we have serviced offices to suit your requirements. Each of our serviced offices offer flexible contracts to allow your business the opportunity to expand your desk space without a long commitment. All our offices are also tailored to provide you with a fixed-fee system so you can budget for serviced office space without additional expense. FLEXIBILITY - We are totally flexible – we mould to your requirements, you don’t have to fit ours. STABILITY - Our aim is to satisfy your ongoing space needs giving you long-term stability.